Voiding black urine is a rare and peculiar trait. In 1902, Archibald Garrod discovered the hereditary basis of black urine and, in the process, contributed to our understanding of the nature of genes. Garrod was an English physician who was more interested in chemical explanations of disease than in the practice of medicine. He became intrigued by several of his patients who produced black urine, a condition known as alkap-tonuria. The urine of alkaptonurics contains homogentisic acid, a compound that, on exposure to air, oxidizes and turns the urine black. Garrod observed that alkaptonuria appears at birth and remains for life. He noted that often several children in the same family were affected: of the 32 cases that he knew about, 19 appeared in only seven families. Furthermore, the parents of these alkaptonurics were frequently first cousins. With the assistance of geneticist William Bateson, Garrod recognized that this pattern of inheritance is precisely the pattern produced by the transmission of a rare, recessive gene. Garrod later proposed that several other human disorders, including albinism and cystinuria, are inherited in the same way as alkaptonuria. 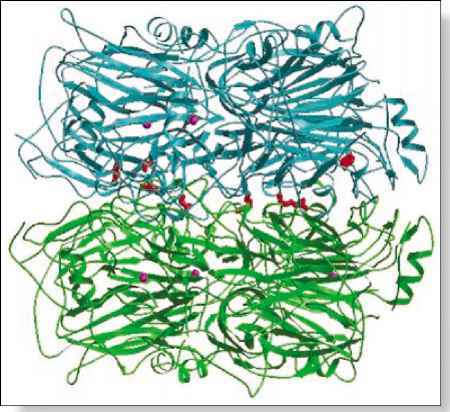 He concluded that each gene encodes an enzyme that controls a biochemical reaction. When there is a flaw in a gene, its enzyme is deficient, resulting in a biochemical disorder. He called these flaws "inborn errors of metabolism." Garrod was the first to apply the basic principles of genetics, which we will learn about in this chapter, to the inheritance of a human disease. His idea — that genes code for enzymes — was revolutionary and correct. Unfortunately, Garrod's ideas were not recognized as being important at the time and were appreciated only after they had been rediscovered 30 years later. This chapter is about the principles of heredity: how genes are passed from generation to generation. These principles were first put forth by Gregor Mendel, so we begin by examining his scientific achievements. We then turn to simple genetic crosses, those in which a single characteristic is examined. We learn some techniques for predicting the outcome of genetic crosses and then turn to crosses in which two or more characteristics are examined. We will see how the principles applied to simple genetic crosses and the ratios of offspring that they produce serve as the key for understanding more complicated crosses. We end the chapter by considering statistical tests for analyzing crosses and factors that vary their outcome. Throughout this chapter, a number of concepts are interwoven: Mendel's principles of segregation and independent assortment, probability, and the behavior of chromosomes. These might at first appear to be unrelated, but they are actually different views of the same phenomenon, because the genes that undergo segregation and independent assortment are located on chromosomes. The principle aim of this chapter is to examine these different views and to clarify their relations. In 1902, the basic principles of genetics, which Archibald Garrod successfully applied to the inheritance of alkap-tonuria, had just become widely known among biologists. Surprisingly, these principles had been discovered some 35 years earlier by Johann Gregor Mendel (1822 -1884). Mendel was born in what is now part of the Czech Republic. Although his parents were simple farmers with little money, he was able to achieve a sound education and was admitted to the Augustinian monastery in Brno in September 1843. After graduating from seminary, Mendel was ordained a priest and appointed to a teaching position in a local school. He excelled at teaching, and the abbot of the monastery recommended him for further study at the University of Vienna, which he attended from 1851 to 1853. There, Mendel enrolled in the newly opened Physics Institute and took courses in mathematics, chemistry, entomology, paleontology, botany, and plant physiology. It was probably here that Mendel acquired the scientific method, which he later applied so successfully to his genetics experiments. After 2 years of study in Vienna, Mendel returned to Brno, where he taught school and began his experimental work with pea plants. He conducted breeding experiments from 1856 to 1863 and presented his results publicly at meetings of the Brno Natural Science Society in 1865. Mendel's paper from these lectures was published in 1866. In spite of widespread interest in heredity, the effect of his research on the scientific community was minimal. At the time, no one seems to have noticed that Mendel had discovered the basic principles of inheritance. In 1868, Mendel was elected abbot of his monastery, and increasing administrative duties brought an end to his teaching and eventually to his genetics experiments. 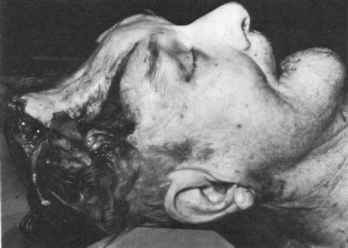 He died at the age of 61 on January 6, 1884, unrecognized for his contribution to genetics. The significance of Mendel's discovery was unappreciated until 1900, when three botanists — Hugo de Vries, Erich von Tschermak, and Carl Correns—began independently conducting similar experiments with plants and arrived at conclusions similar to those of Mendel. Coming across Mendel's paper, they interpreted their results in terms of his principles and drew attention to his pioneering work. Gregor Mendel put forth the basic principles of inheritance, publishing his findings in 1866. The significance of his work did not become widely appreciated until 1900. Mendel's approach to the study of heredity was effective for several reasons. Foremost was his choice of experimental subject, the pea plant Pisum sativum (< Figure 3.1), which offered clear advantages for genetic investigation. It is easy to cultivate, and Mendel had the monastery garden and greenhouse at his disposal. Peas grow relatively rapidly, completing an entire generation in a single growing season. By today's standards, one generation per year seems frightfully slow— fruit flies complete a generation in 2 weeks and bacteria in 20 minutes—but Mendel was under no pressure to publish quickly and was able to follow the inheritance of individual characteristics for several generations. Had he chosen to work on an organism with a longer generation time — horses, for example—he might never have discovered the basis of inheritance. Pea plants also produce many offspring—their seeds—which allowed Mendel to detect meaningful mathematical ratios in the traits that he observed in the progeny. 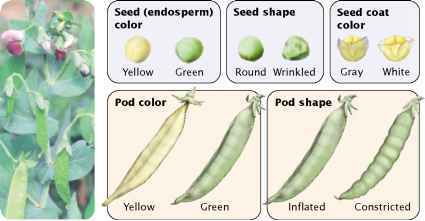 The large number of varieties of peas that were available to Mendel was also crucial, because these varieties differed in various traits and were genetically pure. Mendel was therefore able to begin with plants of variable, known genetic makeup. Much of Mendel's success can be attributed to the seven characteristics that he chose for study (see Figure 3.1). He avoided characteristics that display a range of variation; instead, he focused his attention on those that exist in two easily differentiated forms, such as white versus gray seed coats, round versus wrinkled seeds, and inflated versus constricted pods. Finally, Mendel was successful because he adopted an experimental approach. Unlike many earlier investigators who just described the results of crosses, Mendel formulated hypotheses based on his initial observations and then conducted additional crosses to test his hypotheses. He kept careful records of the numbers of progeny possessing each type of trait and computed ratios of the different types. He paid close attention to detail, was adept at seeing patterns in detail, and was patient and thorough, conducting his experiments for 10 years before attempting to write up his results. Before we examine Mendel's crosses and the conclusions that he made from them, it will be helpful to review some terms commonly used in genetics (Table 3.1). The term gene was a word that Mendel never knew. It was not coined until 1909, when the Danish geneticist Wilhelm Johannsen first used it. The definition of a gene varies with the context of its use, and so its definition will change as we explore different aspects of heredity. For our present use in the context of genetic crosses, we will define a gene as an inherited factor that determines a characteristic.